Home / FEAR / INNOVATION / INSPIRATION / MOTIVATION / WITHOUT FEAR / THE YCEO: Where Would You Be Without Your Fear? THE YCEO: Where Would You Be Without Your Fear? Hey you, it’s time for us to have a talk. What has been holding you back from being your absolute best? Who is stopping you from fulfilling that great thing called DESTINY? Oh yeah, I have one more question for you. How much time have you wasted doing this when you should have been doing that? Most people in life are stuck between who they are and who they should be because they have let that nasty F-word enter live in the back room in their mind. I’m talking about fear. Be honest with yourself. 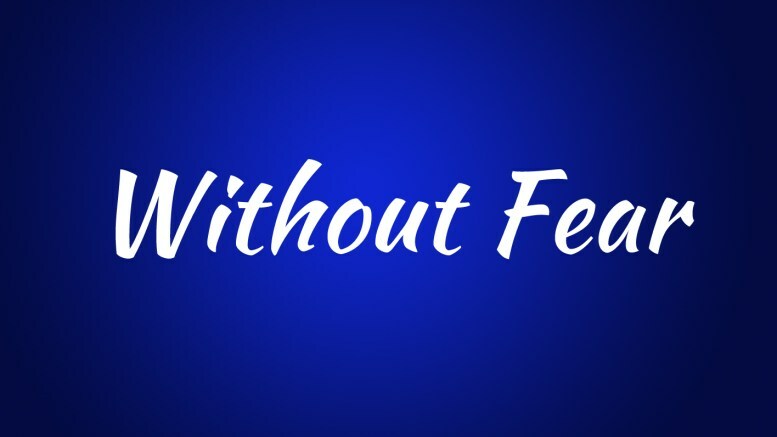 Where Would You Be Without Your Fear? What would you be doing in life if fear was not holding the GPS in your thoughts? The first step to overcoming your fear is to build your faith. I heard it said as a child that faith is the exact opposite of fear. I’ve lived long enough to know this to be true. If we are going to get past what the enemy is saying about us we have to focus on what God is saying about us. The only reason why your fear has so much control is that you don’t know who you are. According to the word of God, you have the victory over every area of your life. But, It’s impossible for us to walk in a victory that we don’t know is ours. Study the word of God and find out what God is saying about your life. The next thing you must do is to inspect the intentions of the people in your circle. Be honest with yourself about whether they have been feeding your fear or feeding your faith. What kind of advice have they been giving you? Do they really want you to win in life? We tend to hang with people who identify with our pain. Though they can identify with your pain they cannot relate to your purpose. I recall telling a former employer that I was going to write for a living. This was many years before I wrote my first book. He said, “You will never do that.” His negative opinion taught me one important lesson. I learned to put distance between me and the “You Can’t” people in my life. “You Can’t” people have a way of convincing you that you never will. It’s time to place some distance between you and them. I might lose some cool points for this but when I was young I could not wait to watch The Wizard of Oz. This childhood television show taught me much about life. Dorothy found herself in the Land of Oz and she was trying to get home. Simply put, she was at “this” place in her life but she wanted to get to “that” place in her life. She could have crawled in a corner and given up but she chose to do the exact opposite. She chose to put her left in front of her right and make her way down that yellow brick road. We must do the same. Today is NO MORE EXCUSE DAY! It’s time to start moving in the direction you say you want your life to go. The time for procrastination is long over. It’s time for you to start making your way down that yellow brick road in life!